When I was first introduced with the principles of Lean thinking, my coach started off by making it clear we are not talking about a way to lose weight. A few years later, I would like to revisit and challenge that statement. Having learned more about the Kanban principles since, I think there are clear similarities. 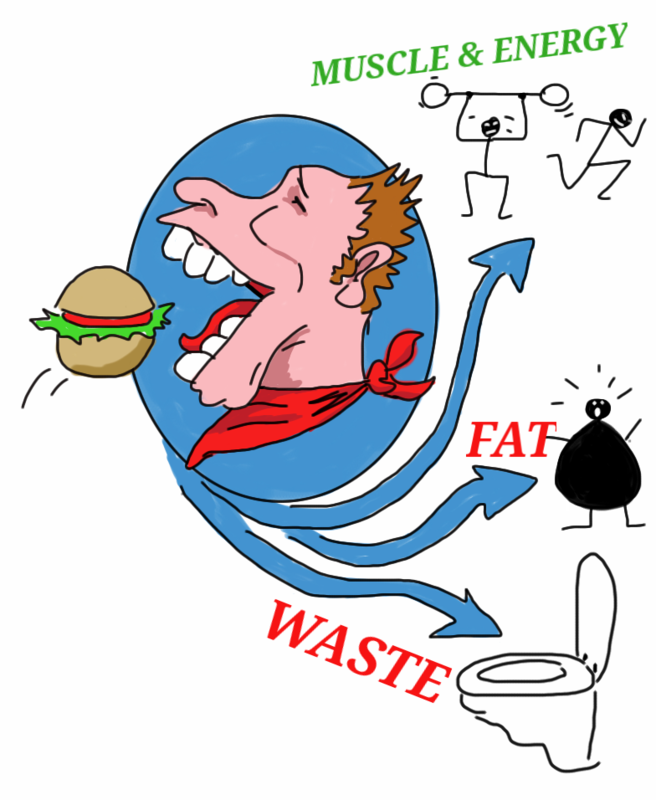 Since the eating process is generally defined by our biology, I'll focus on flow. The starting point is late 2011, when I realized that unless I seriously change something I will continue accumulating weight. During my adult life I was always somewhat overweight, but at that point my weight was already a cause of grief and low self esteem. We often eat for all kinds of reasons: schedule, habit, availability, social circumstances, boredom. None of those is directly related to a biological need: first comes one of those reasons, next we eat. A Push system. The result is Fat, the biological equivalent of Inventory. This is where we store over-production. The natural Pull system is the Hunger mechanism. Our body needs more energy, so our minds signal "eat now". I don't know how it is for others, but I find it hard to free myself from all the social and psychological layers hiding and tempering with the basic hunger mechanism, so I needed to establish an alternative pull system. To create pull, I needed to adjust the calorie intake to be just enough for the energy I spend. Since I didn't plan to rely on hunger, I needed a forecast of the energy demand, and a way to adjust the estimation. Smartphones are great. A calorie calculator app provided an easy way to estimate a daily calorie budget, to visualize my calorie intake and my weight reduction rate. Keeping within budget meant I have an explicit policy. I would need to plan what I eat, and choose between alternatives in a conscious way. Once the first signs of success started to show, and some eating habits were established, I was ready to change further aspects of my diet. Here are a couple of examples. While tracking my calorie consumption against a budget, I noticed it was much harder for me to keep to the plan on weekends and holidays. I realized that some habits are harder to change, but they surfaced only after I got the work days under control. For example, I didn't really have to take a serving of every single dish on the table at family dinners. It is not really an insult to the host. Two things that supported this journey. Intention - I realized being overweight wasn't acceptable to me anymore while preparing to hold a workshop about Christopher Avery's Responsibility Process. One of the things he teaches is getting clarity on what I want. This was a strong motivator for me. I managed to lose 18 kg (around 40 pounds) within a year. I feel much better, can run faster and longer, and I'm proud of my achievement. I can't say I decided to lose weight by applying lean principles, but I'm quite sure those principles were there to support me. Elements such as sustainable pace, explicit policies, visualization, continuous improvement, and discipline are common to both.